Abu Dhabi's Aabar Investments, now under Mubadala, acquired a 31.8 percent stake in Virgin Galactic in 2010. The UAE Space Agency is in talks with Richard Branson’s spaceflight company Virgin Galactic to operate commercial space flights for tourists from Al Ain International Airport. In February, the company partly owned by Abu Dhabi’s Mubadala Investment company, launched its SpaceShipTwo plane above the Mojave Desert in California during a test flight while carrying its first-ever passenger Beth Moses, along with the plane’s two pilots. The trio flew 89.9 kilometers, marking the Virgin craft’s first successful flight to space. Mohammad Al Ahbabi, director of the UAE Space Agency, hinted that the partnership is confirmed. 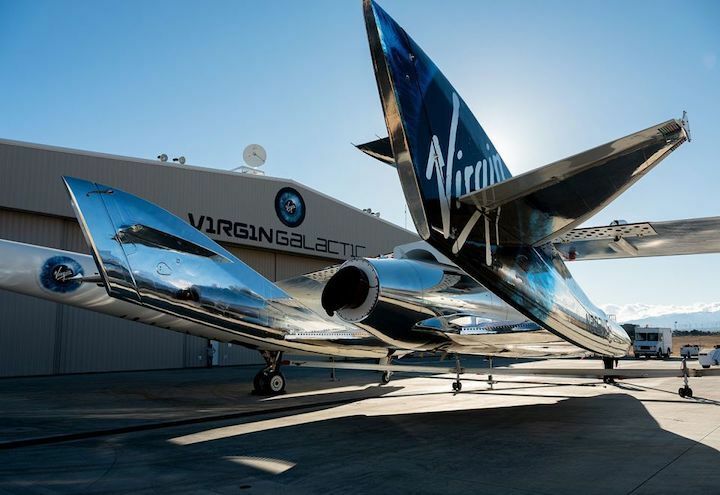 “Virgin Galactic is the first business space agency in the world and has conducted successful trial flights recently. The reason why the company opted for Al Ain airport is that it is less crowded than other UAE airports, which are scheduled with thousands of flights,” he said. Branson gifted an Emirati flag, which was on Virgin Galactic's successful trial flight in December 2018, to Sheikh Mohamed bin Zayed, the Crown Prince of Abu Dhabi and Deputy Supreme Commander of the Armed Forces in February. The British billionaire said at the time: “The gift is a tribute to the role played by the United Arab Emirates and its vision and approach to the space science." Due to its dry condition and quiet runways compared to other airports in the UAE, Al Ain airport has been used by the likes of Airbus to test new aircrafts such as the A350 in high summer temperatures.